But the most powerful thing was that the first phone call I received after the storm was over was from Minaz! She wanted to make sure all of our homebound church members were alright, asked if anyone needed transportation assistance, and even sent some folks from HIC to help another Methodist church clean up after the storm. 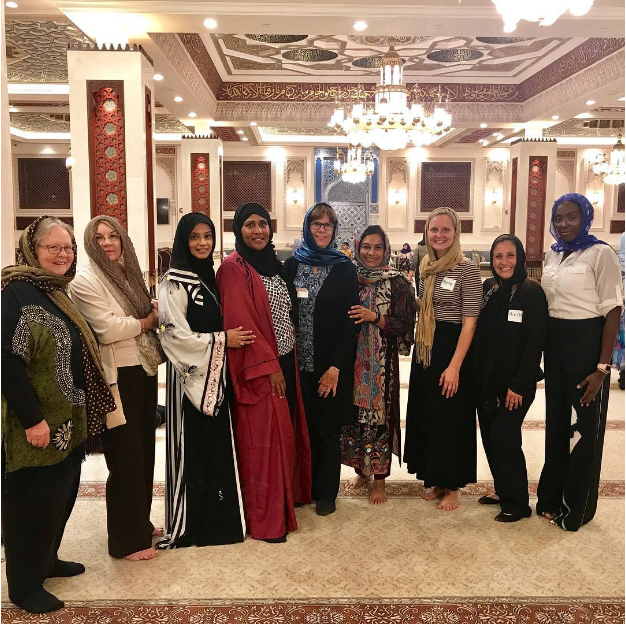 Since then, we’ve had a chance to eat together, serve together, tour each other’s places of worship, participate in an interfaith panel hosted at the mosque and share in an Interfaith Iftar during their month of Ramadan. At our most recent visit, the topic of discussion was our world’s shared need to embrace humility, conversation and friendship across societal lines. In our world, there is much to be lamented, and much to be changed. Some days, the world looks insurmountably divided and hurtful… and then relationships like this happen, and bring hope and joy and learning. Thanks, HIC, for being such good friends to us and for seeking to make this world a less divided place! *Never heard about the danger of a single story? Check out this TED Talk.